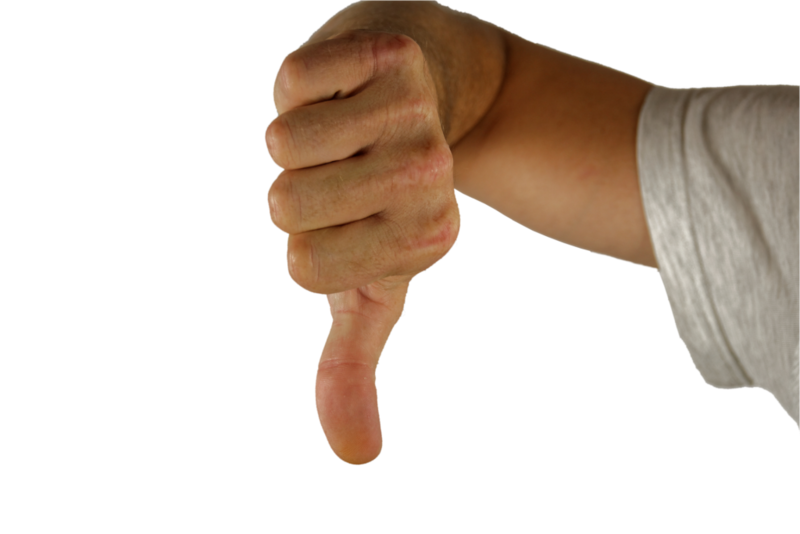 As a result of the apology Barnet UNISON initiated an emergency ballot of the views of our Bin worker members. 100% of Barnet UNISON Bin workers balloted agreed the new round changes have failed Barnet residents. 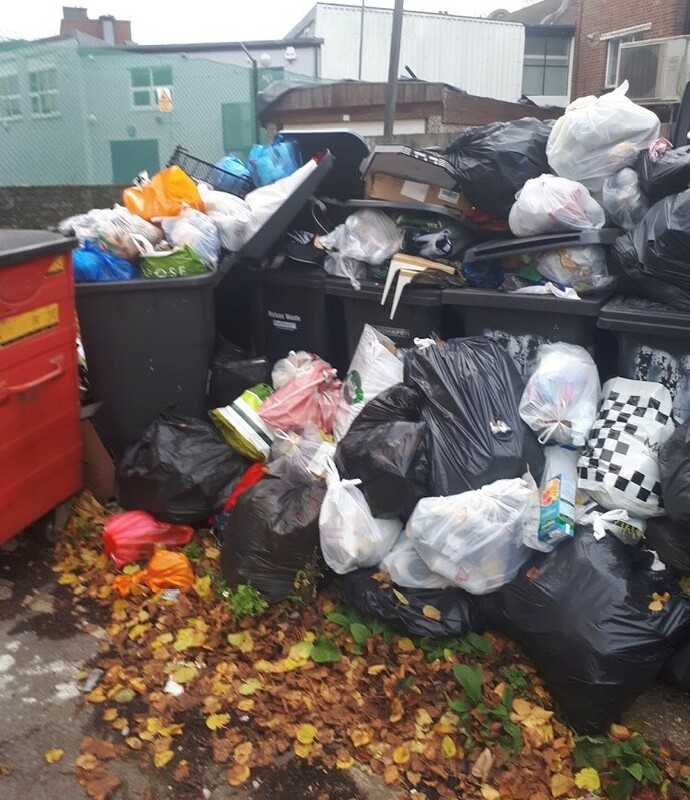 Since 4th November 2018 a large number of rounds are not being completed within allocated time, leaving bins uncollected, 1000’s of complaints from residents. On Wednesday 28 November 2018, the Environment Committee were informed that as a result of the Bin changes the Council were paying between £15-20k in overtime per week simply to try and catch up with missed bin collections. Yes, Barnet UNISON had flagged up 49 questions provided by our Bin worker members on 5 October 2018, four weeks before the launch of the new service. 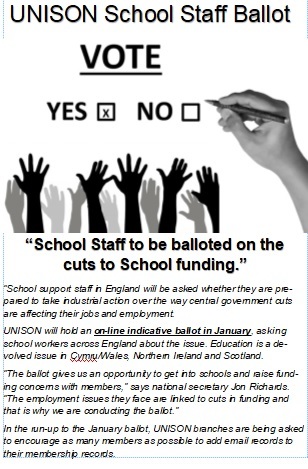 Barnet UNISON received no responses to these questions. Barnet UNISON can only conclude that the Council were confident that our serious and fundamental questions (from the workforce) were already addressed in their proposed new Bin service. 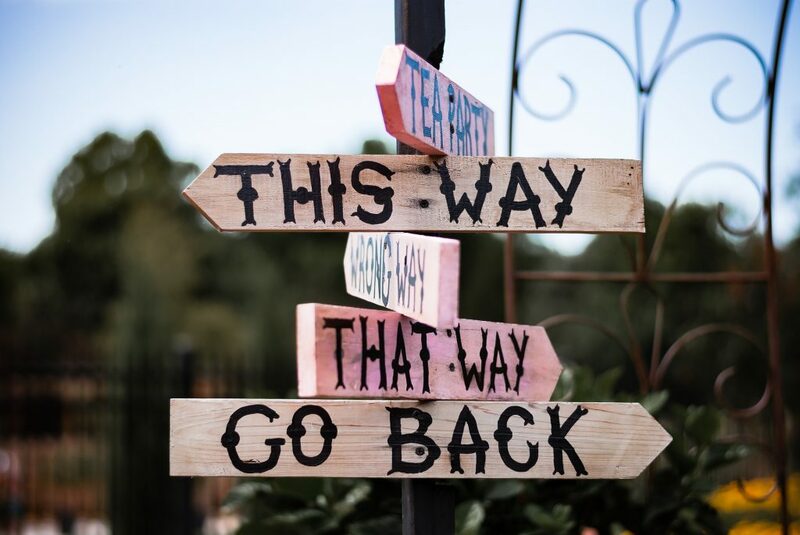 For the last four weeks Barnet UNISON has listened to anecdotal feedback from our members and read the comments made by the public about #Bingate. Something is fundamentally wrong with the Bin changes. The workforce are working long hours to try and catch up but it is simply not enough. There are only four weeks to Christmas a time where there is always an increase in refuse and recycling. 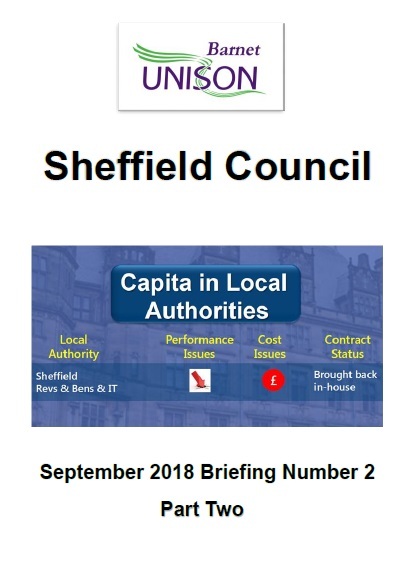 Barnet UNISON was bitterly disappointed to read that Barnet Council is now back tracking on a decision agreed at a Special Policy and Resources Committee on 19 July 2018. 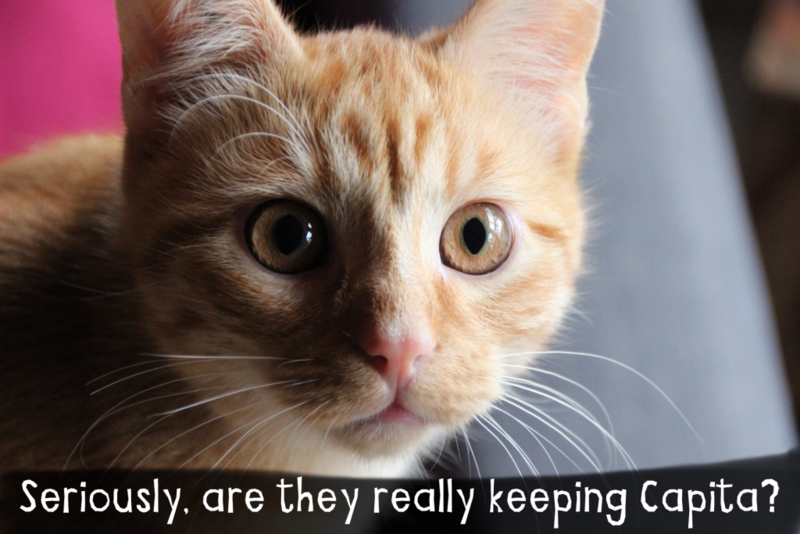 Keep both Capita contracts as they are now. 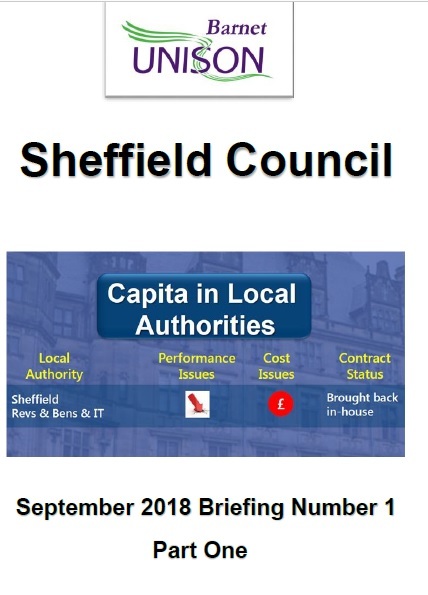 Bring some Capita services back in-house from both contracts. Bring all the services back in-house from both contracts. The news may come as a surprise to our members, especially in light to recent fraud and the damning Grant Thornton report which is going to be discussed at the Audit Committee on 22 November. However, Barnet UNISON is not surprised by the decision: this is Barnet. 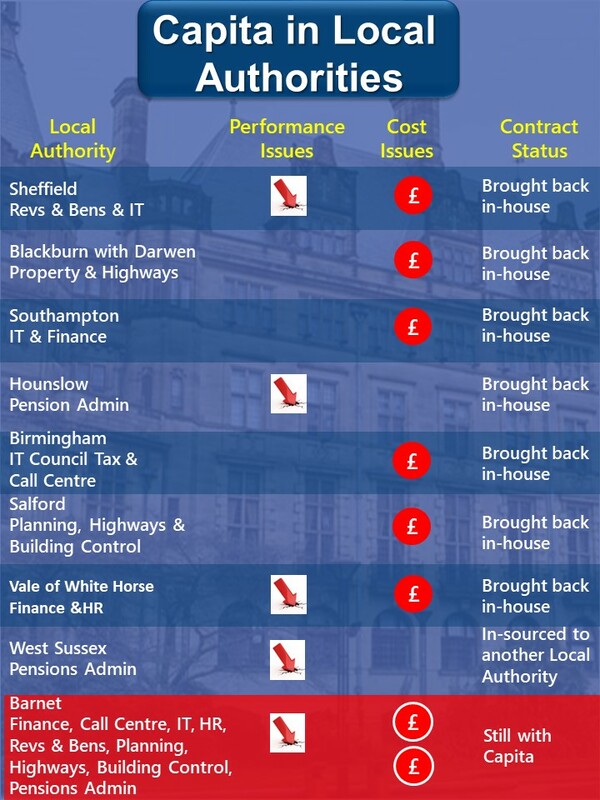 The sheer number of Councils ending their contracts with Capita in 2018 is very worrying. These big contracts are just as complex as the one in Barnet and often involve the same services that Barnet outsourced to Capita. If Southampton, Sheffield, Blackburn and Birmingham can end contracts with Capita and still make savings then why can’t Barnet? Barnet UNISON is not giving up on our aim to see all services brought back in-house. In the meantime take a look at this infographic below for 2018 only. Barnet Council long term accommodation strategy involved staff moving to new build accommodation in Colindale. The plan was to exit the Barnet House lease early (it expires in 2030) as the Landlord has plans to develop the site. There may even have been a financial payment from the Landlord to request the Council to leave early. Barnet Council pay approximately £750k rent on the building. Barnet UNISONs proposal is for Barnet House to be one of the community hubs for staff to work in. Depending on demand there could be opportunities for the Council to rent out office accommodation in order to raise additional income. I understand the cost per square foot at Barnet House is a great deal cheaper NLBP. The site is ideally located to all forms of transport. 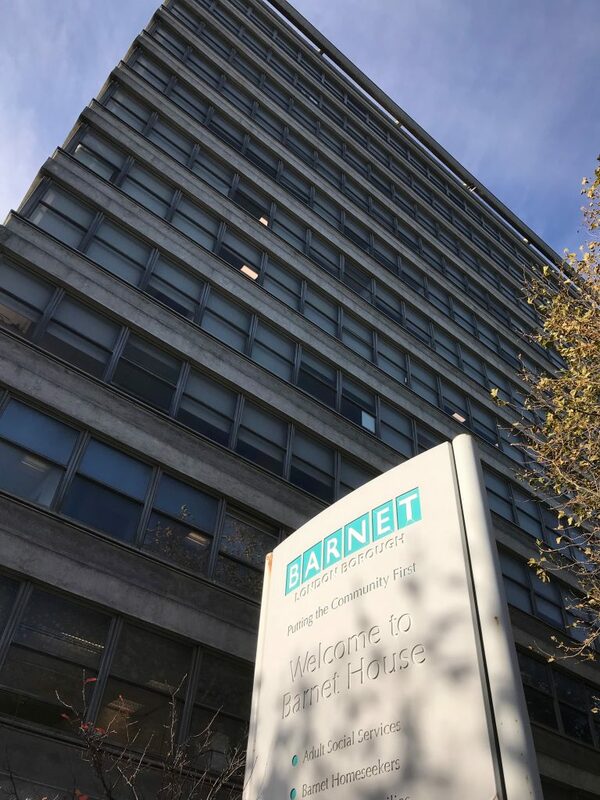 Barnet UNISON is confident that working from a Barnet House hub would also be popular option for staff across a number of employers and would enable continued access for residents this side of the borough. Barnet UNISON has submitted this proposal to the Council and will update our members when we have a response.